EDMONTON, AB–The Edmonton Motorshow always features a few low-key stars. 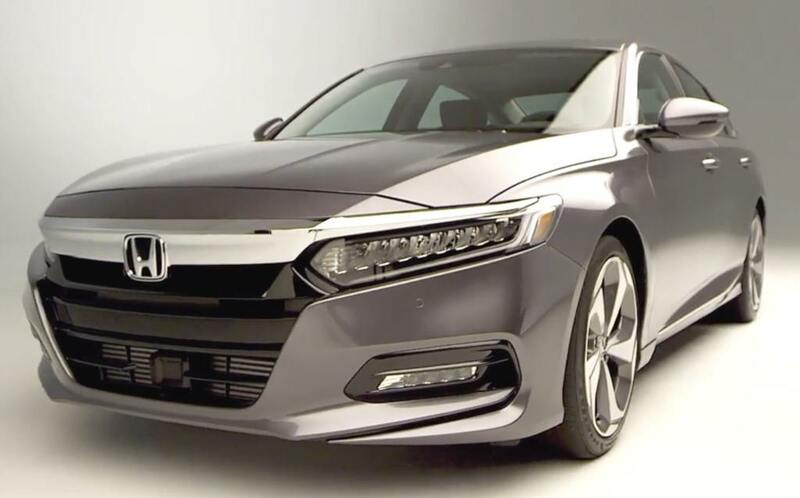 For me, this year’s surprise winner was the 2018 Honda Accord, a genuinely stunning vehicle that feels every bit as luxurious as a sedan worth more than $50,000. It tops out at $38,890, and can be had for as little as $26,590. Considering what you get, it’s might provide the best bang-for-your-buck of any vehicle at the Show. Despite the vehicle being named the AJAC North American Car of the Year, I’d yet to sit in a 2018 Accord before last night. I was legitimately blown away. It has an incredibly comfortable and well-appointed interior, and almost certainly the nicest cabin in its class. It has a nice mix of soft-touch plastic, leather upholstery, and wood trim, and even on lower models (like the Sport) you’re treated to fiber-look trim and faux-leather seating. A new touchscreen is much, much easier to use than the old system. The last Accord featured a touch-pad only experience. It was slow and often frustrating. Now, the layout is much improved and incorporates some physical buttons and knobs for easier navigation. Both Apple CarPlay and Android Auto are supported. It’s more pronounced styling gives the exterior a true luxury feel, especially in platinum pearl white (shown above). It boasts a fastback roofline with a pronounced crease below the windows that gives the Accord a stronger stance. The wheel base has been widened by more than two inches, which adds even more strength to the powerful, re-modeled front end. If it’s not the most elegant Honda ever built, I don’t know what is. The trunk is huge, a full 17-cubic-feet (a full foot bigger than last year’s model). The only downside is that this cuts into rear visibility just a tad. The field of view is slightly narrow, but this is the only negative I saw throughout the entire vehicle. I can’t wait to take the Accord out for a rip. The 1.5-liter lowest trim–the LX–offers 192 horsepower and 192 lb-ft of torque. But the Accord hits as much as 252 horsepower and 273 lb-ft of torque with the 2.0-liter engine. If you’re a manual driver, you’re in luck. The Accord is one of the only vehicles in its segment–along with the new (also great) Mazda6–that is available with a 6-speed manual transmission. This is what’s clear: the new 2018 Accord a sleek yet mature sports sedan. It’s quiet and controlled, but capable of delivering tons of fun. It’s a return to the simplicity that was Honda’s calling card for years, while at the same time a huge step forward when it comes to class. Luxurious, minimalist, and intuitive, the 2018 Honda Accord delivers in almost every way. It has so many strengths and so few weaknesses, it’s no wonder why it was named AJAC North American Car of the Year. Want to test drive the 2018 Accord for yourself?